New X-ray technologies reveal some of the incredible processes that took place in Earth’s geological history – and should help us identify new high value ores. We see that some of the most valuable accumulations of metals ever mined by humans formed from molten rocks, and particularly from molten sulfide minerals (those that feature sulfur as a major compenent). These metal accumulations, called ore deposits, contain nickel, copper and cobalt – metals that are critical components of lithium-ion batteries. 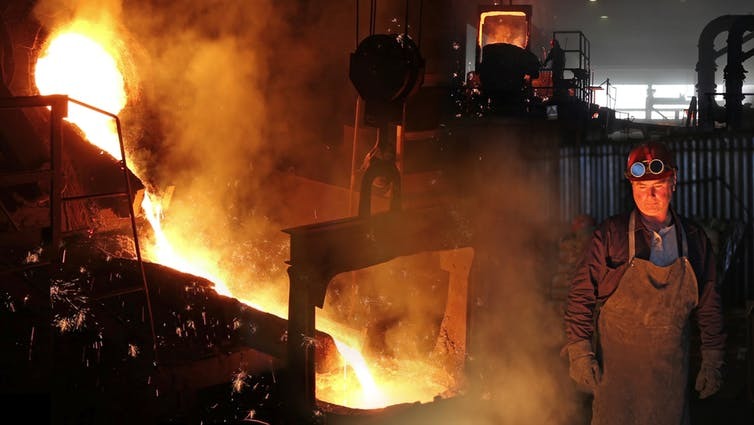 Even at present prices, large examples of such once-molten orebodies contain hundreds of billions of dollars worth of nickel, usually with valuable by-products copper, cobalt, platinum and palladium. We need to keep finding new, high-grade deposits – like the recently discovered Nova-Bollinger orebody east of Kalgoorlie in Western Australia – to keep up with the inevitable increase in demand. On current projections, a new one of these is needed every year to keep up with demand for nickel in lithium-ion batteries. A better understanding of how these deposits formed, deep in the Earth’s crust millions of year ago, will help us improve our exploration success rate. The geological process that formed ores from molten sulfides have a lot in common with smelting (the procedure used by people for millennia to extract pure metals from sulfur-bearing minerals). Millions of years ago, molten iron sulfide minerals reacted with magma in the plumbing system of ancient volcanoes – in effect scavenging the essential metals nickel, copper, cobalt and platinum. These minerals accumulated in sufficient concentrations such that they could be mined once erosion had exposed the ore at the surface. Over the past few years, we have greatly improved our understanding of how these remarkable ore deposits formed. 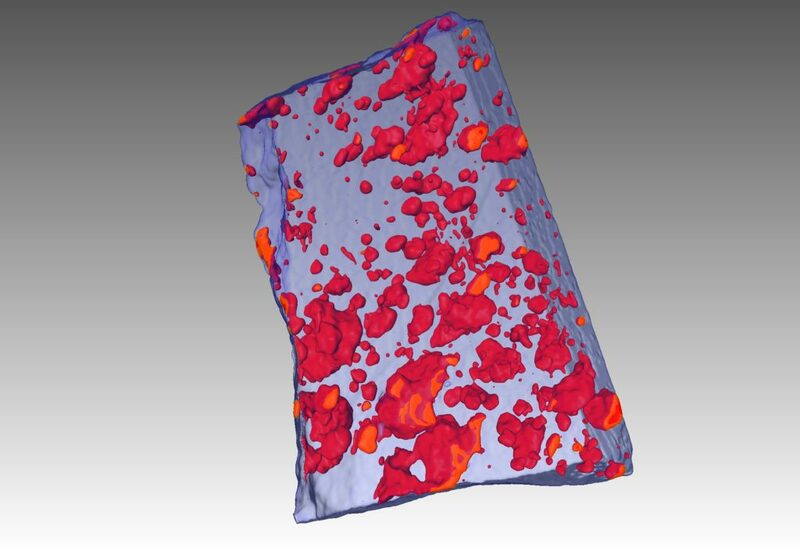 This understanding has been built up using new techniques in imaging the ores in two and three dimensions, using X-ray technologies at CSIRO and the Australian Synchrotron . We have been using a technique called microbeam X-ray element mapping to make detailed 2D images of the ores and the rocks they sit in. Some of these images – such as the one at the top of this story – are created on the X-ray fluorescence microscopy beamline at the Australian Synchrotron, applying the Maia detector system. This enables gigapixel images to be collected in a matter of minutes. Complementing this technique, we’ve also applied high-resolution 3D X-ray tomography – the equivalent of a hospital CT scan – to reveal in 3D details on the shape and size of the droplets of sulfide liquid that formed the ores. The effect has been to turn on a light in a dark room: we have seen features inside solid rocks that have not previously been revealed. Sulfide liquids, it turns out, have remarkable physical properties. They behave like a hot knife through butter: so corrosive that they can melt their way through solid rocks, ending up in some cases tens of metres away from their original host rocks. We now know that orebodies form in very particular parts of the ancient “plumbing systems” that fed magmas to the volcanoes above. The ores formed where the flowing magma was so hot that it melted the rocks around it. The “hot knife” sulfide liquid then continued to melt its way into the floor, such that the ores are now found injected into the underlying non-igneous rocks. In the case of the supergiant nickel ores of the Norilsk region in Siberia, the rocks that melted also supplied the sulfur to form the orebodies. In fact, so much sulfur was released by this process that much of it, along with vast amounts of nickel, was actually erupted into the atmosphere, contributing to the greatest mass extinction in Earth history. This type of work helps us improve geological models the exploration industry uses to explore for new deposits. Nickel sulfide ores are notoriously difficult “needle in haystack” targets, and we need to bring our best combination of geophysical detection techniques and predictive geological models. Research is ongoing: both into the fundamental processes of ore formation and into the implications of this understanding for where and how to look for new deposits. Some of the minerals that form along with the sulfide ores can be dispersed by erosion, and rivers transport them long distances from the deposits themselves. We are learning how to recognise these chemically distinctive grains, in the same way diamond explorers use “indicator minerals” to find fertile kimberlites (the source rock for diamonds). We’re also doing more fundamental research, such as using analogue material (salt water and olive oil work very well, it turns out) and computational fluid dynamic models on supercomputers to look into the physics of how magmatic ores come to look the way they do. Could clues from the landscape reveal the next big gold discovery?